Liverpool FC is celebrating five years since the opening of its International Academy in Egypt, and that landmark is particularly significant for a man who has been there from the very start. Back in 2011, Dave Ridler was tasked with taking 'the Liverpool way' out to the Middle East for the first time, as the expansion of the club's International Academy network continued into new territory. The former Wrexham defender - an old teammate of Reds legend Ian Rush, no less - has been there ever since, overseeing a success story which is a source of great personal pride. The club boasts an Academy base in the Cairo suburb of Madinaty, as well as a supporting soccer school in nearby Al Rehab, both of which provide young people with the opportunity to learn from qualified coaches. 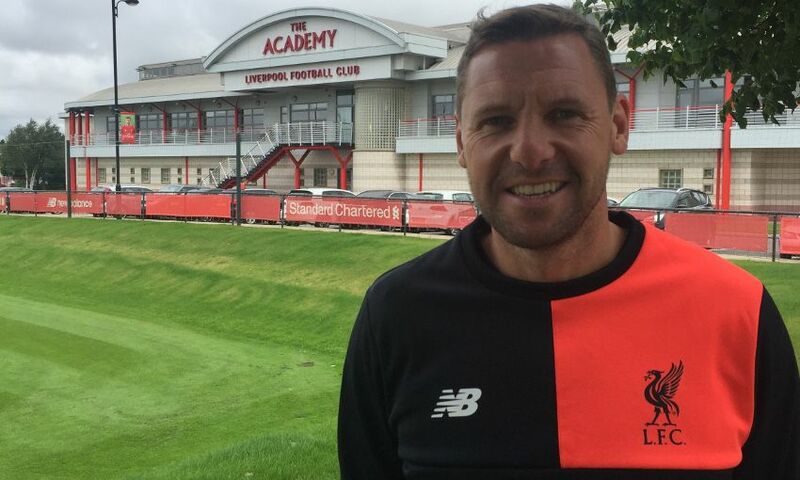 Just as importantly, the programme also aims to help the children who take part to grow as people, as Dave explains: "We follow the same coaching curriculum that is delivered at the LFC Academy and aim to develop every player in the technical, tactical, physical, mental and social aspects of the game. "At the LFC IA Egypt, we not only aim to develop good footballers, but also good people through an all-round education that we provide to the players." The project has also helped boost grassroots football in the region by educating local coaches to a curriculum based on the famously high standards set by LFC. That has proven to be one of the biggest challenges thus far, according to Dave, but it is also why the work of the past five years has felt so worthwhile. "Maintaining the expectations and standards of Liverpool Football Club is something we look to achieve on a daily basis," he adds. "The effort we put into this area is something that makes us stand out versus other clubs here in Egypt. "This is a challenge that we have all met head on since I arrived here in Egypt. On all of our international projects, there are two main areas of focus: coach education and player development. "The improvements that we have seen in both of these areas - over what is a relatively short space of time for football development - is a real positive for this project." Of course, while the five-year milestone will be celebrated in Cairo, the desire to build on the foundations that have been laid during that time is strong. "We have a fantastic foundation now with the venues and programmes that we have set up and I can only see this project going from strength to strength," Dave says. "This will ensure that we continue to have a positive influence on the development of grassroots football here in Egypt. "For our coaches in Egypt, being part of the project is an amazing opportunity for them to gain insight into the way we train our players at Liverpool FC. "They have really embraced this opportunity to improve as coaches and to deliver sessions to the standards set by the club. "As their head coach, I am immensely proud of the progress they've made and I look forward to working with them on this fantastic project in the future."